Crowdsource funding has helped launch a lot of cool projects. With so many options, where and how do you decide which platform to use? A breakdown of the top sites as well as helpful tips will help you determine the best fit for your project. I was at an event recently about this topic. Some things I didn’t consider was accounting for taxes as well as the level of support I’m seeking for my upcoming campaign. It was nice to not only learn more about Indiegogo, but I was also able to directly talk with one of their leads. Unlike other platforms, they will give you feedback and offer guidance to help you make your campaign successful. Others are more hands off. It really depends on what type of project you have since it’s best to go where your audience is most likely to be. From Kickstarter’s stats, those with a video have higher rate of success than those without 50% vs. 30%. Make a video! It doesn’t have to be fancy. People need to be able to hear what you’re saying. This is why home video cameras are not that great. If you already have some type of gear to film with, figure out if you can attach a mic to it. Music is nice, but not necessary. It was fun to pick out some jams for Asulia on Soundcloud that we might use in the video though! 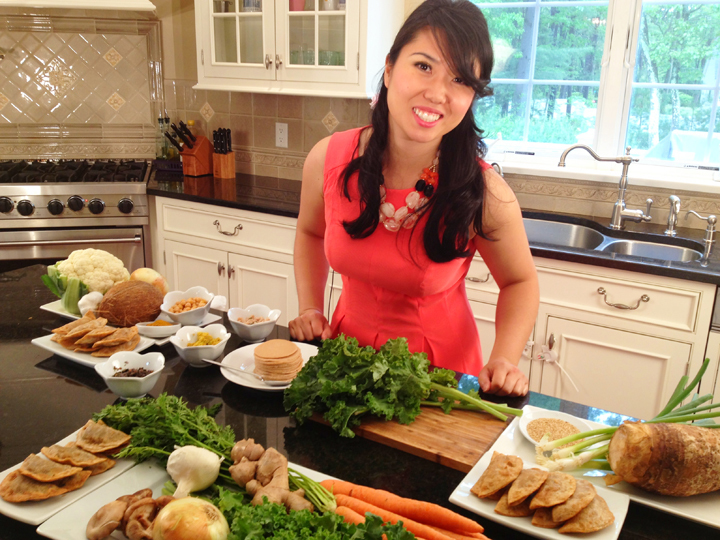 Besides being obsessed with getting people to eat their veggies, I’m also obsessed with how things look. Luckily Morning Fog Film set me up with a lighting plan. I rented all my equipment from Rule Boston Camera and had friends help me shoot the footage. Andrew at Rule was awesome! He was extremely patient as I asked tons of questions. We spent hours preparing for the shoot. I never thought a short video would entail so much time or that I would be learning about film! Scouting veggies once again, renting equipment, picking up an emergency hot roller kit, and more. On the day of, I was frantically spraying hairspray but it wasn’t working. I kept spraying anyway. When I unpacked the next day, I found out it was dry shampoo! No wonder it wasn’t holding. Hopefully, my hair doesn’t look white in the footage. 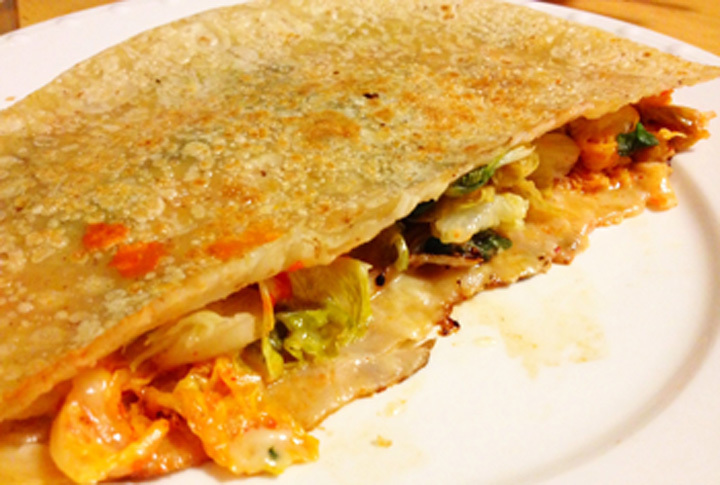 In the evening, I made a gluten free kimchi quesadilla. On high heat, charr romaine lettuce on a grill or skillet. Adjust to low heat, place 1 tortilla in a pan with half the cheese. Layer romaine, kimchi, sriracha, and remaining cheese. Flip the tortilla over until the cheese has melted and both sides have browned. You look FANTASTIC in that photo! Can’t wait to see your video. thank you! every gal needs a set of hot rollers for their hair.